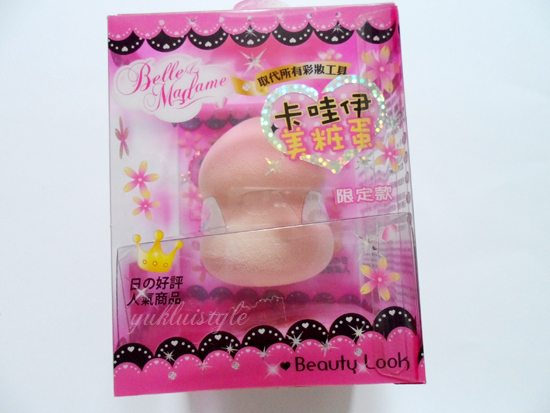 This is my first beauty blender sponge so I cannot compare this to others. I was in Sasa looking for the famous beauty blender thinking they’d stock it. It was a long shot but then this had appeared in front of me, literally. Saw it and thought why not try it especially since it was so cheap! This blender claims to be an all in one sponge, being able to apply foundation, concealer, highlighter, blusher, and even eyeshadow! In both powder and liquid form. By the sounds of this product, it can replace all your brushes and apply make up with this one sponge. Too good to be true? This came in a cute packaging and it had came with instructions which is all in Chinese. It’s a shame for all you non Chinese readers but you can get the idea from the photos. The base is used for applying foundation, powder and blusher whereas the tip is for foundation in small areas, concealer, highlighter and eyeshadow. First impression of this is that it was soft but not soft in a way. More soft in a smooth way. Not sure if that made any sense. It around 2.1 inches tall. Tiny tool that you can carry around with you everywhere. The middle is indented for better grip while using the product. From the texture, I can definitely tell that using this for powder would be an utter fail. It’s more suited for liquid makeup. Had applied this using a patting motion rather than a rolling, rubbing motion which will cause friction and is uncomfortable. Using this dry, this had blended my foundation effortlessly and didn’t soak up much foundation. When wet, it also applied well but found that it did soak up a bit more foundation. The tip was helpful to reach hard places but from the looks of it, it isn’t suitable for eyeshadow. This is great to use on cream blushers. This is hard to wash though. It’ll look dirty when it’s actually not. It took me longer to apply foundation so I rarely use this as I’m always rushing. Is time consuming to use. I can’t notice a difference in the look of the application. Gives the same results a me using my fingers. However, using it to apply cream blusher does give wonderful natural look. Overall, this is an ok tool. Cheap to try it out. Hi! i just wanted to let you know i nominated you for the Leibster blog award! 🙂 check out my blog post to see how the leibster award thing works haha 🙂 Have a good day! Thanks for the review! 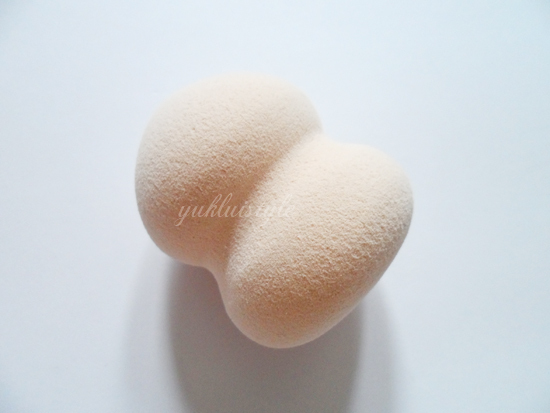 I saw this at SaSa and was about to buy it because I love my beauty blender sponge. I think if you didn't like this sponge you should try the beauty blender. It gives amazing application. to and you're simply extremely wonderful. I really like what you have acquired here, certainly like what you're ѕaying and the best way by whіch you say it. You're making it enjoyable and you still take care of to stay it smart. I cant wait to read far more from you. That is really a great website. Great review, but like you I'm always in a rush!! !